N.E.R.D. reunite in the name of Spongebob with "Squeeze Me". N.E.R.D. were never quite an A-level act, but there's been plenty of revisionism following the success of Pharrell as a solo artist, and musicians like Tyler, The Creator who have cited the group as a direct influence. Now it seems that there's enough nostalgia for the group, that a reunion is quite an exciting prospect, and today we're given just that... sort of. While Pharrell, Chad Hugo, and Shay have blessed us with some new material, it falls closer to Williams' work for the Despicable Me 2 soundtrack than the group's buzz-synth funk jams. 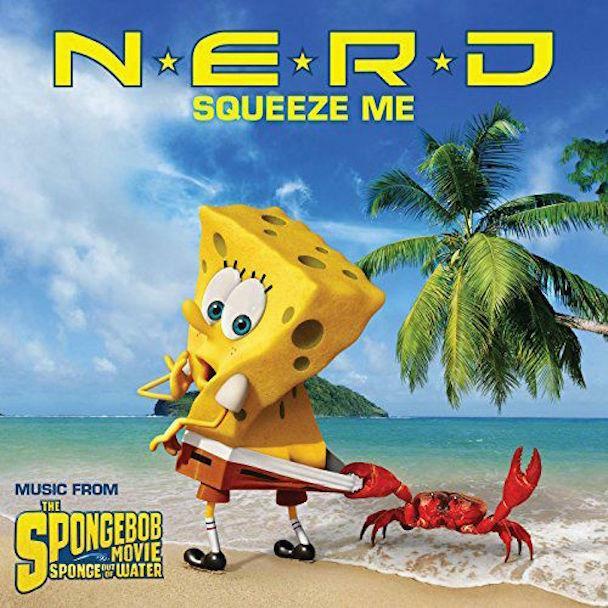 "Squeeze Me" is recorded for the Spongebob Squarepants movie soundtrack, and is appropriately family-freindly, but definitely gives us hope for a new album ahead.